Please meet Lena. 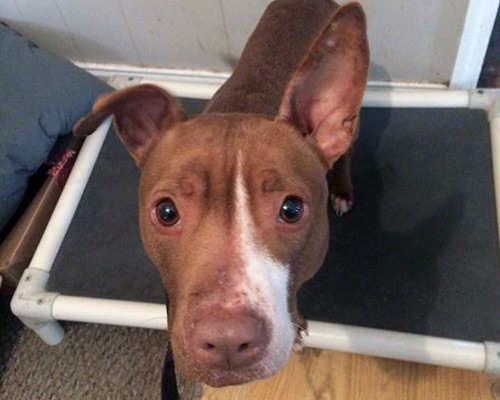 She and about 30 other dogs were rescued from a confirmed dog fighting ring several months ago , now she is here to work on her lack of confidence around dogs. Despite what a lot of people think, every dog who come from situations like Lena did isn’t viciously dog aggressive. While she is with me I will see how far she can realistically come in her comfort level with other dogs in a normal home, not a dog trainer’s home.